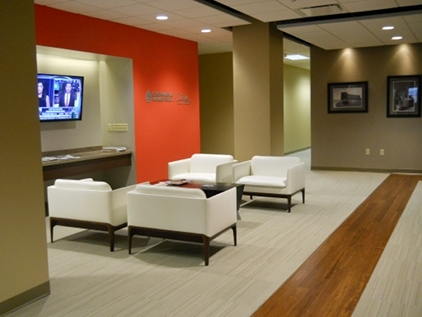 The Boerke Company, a leader in Milwaukee commercial real estate, looked to Creative for a smooth transition to a new office space. Working with a tight schedule and budget, Creative developed a sophisticated environment that still shows off the company’s Midwestern values by creating a warm and welcoming space. Working with the client’s goals in mind, Creative renovated the space to create more natural light and city views. An open space plan was established with very few private offices, more conferencing spaces for collaboration, a large break room and a ‘deal room’ to negotiate and entertain clients. Functional workspaces with ample storage space were installed to give a more consistent look.